This is one of Electronic Arts first games and a very nice one of its' time. It is bundled in The Best Of Electronic Arts with Pinball Construction Set for Adam. I think it could easily be a cart for ColecoVision. There are versions for Apple, Amstrad, etc. I don't know how hard it would be but I would think it could be separated out. I finished it on the first level way back but I needed the unlimited lives code to do it. The code escapes me right now. I've played it on Amstrad CPC also. Oy I forgot how much I like that game.. here are my suggestions for an excellent Coleco games too.. It was a lot like Jumpman and Jumpman Jr., it differed in that you can cast spells and shoot, all in all an outstanding game..
Of course I would love to see the original Jumpman or the Jumpman Collection with either both or all 3 of these games would be amazing..
Just to stay on topic.. Hard Hat Mack is one of those games I would love to play again on a Colecovision, 7800 or Intellivision. Looks like a job for Mystery Man re. a possible port of the ADAM version of H.H.M. to CV cart. Unlike A.E., which was developed by Coleco programmers originally as a CV cart before being released for the ADAM as part of "The Best of Broderbund", H.H.M. was developed solely as an ADAM program so porting it will take a little more effort and possibly the SGM for extra RAM. I firget now... does the ADAM version contain all the original screens from the Apple version? Yes it has all three screens. To me the ADAM version lacks polish and it's too hard compared to the Apple/Atari versions. 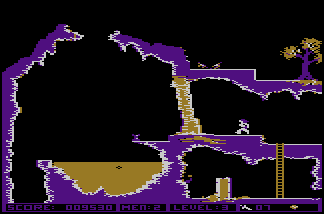 I always played Conan: Hall of Volta on the Apple II. I don't know though it might have only been hard and fun because you had to use the keyboard. It might be too easy on coleco with a controller. There are more screens but no need to see all pictures. Oh I remember Conan it was great! It was the same company that made The Goonies and Zorro. Goonies I played on C64 but was made for other systems too.. I have to say all of those "puzzle platforming" games were just great! I love reading these message boards and discovering so many games that I didn't have the privilege of playing myself at the time such as all the ones listed above. I'd be happy if any of those were brought over to the ColecoVision. I was unaware of that 1982 "Hard Hat" arcade game until now. 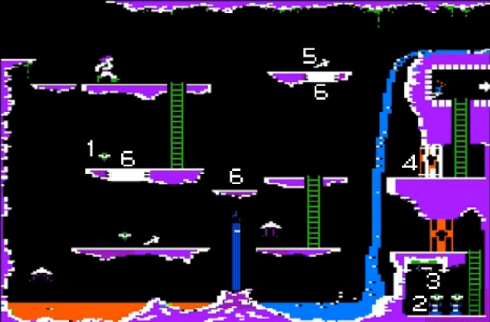 Wow so Hard Hat arcade 1982 was the basis for the obscure & rare 1986 ColecoVision game "Amazing Bumpman" released by TeleGames AKA the unreleased Sunrise Software 1984 game "Number Bumper". Then theres Hard Head, the $5000 eBay proto for the 2600. The character looks like it could be the brother of the Hard Hat character.